We are one of the widely acclaimed manufacturer and wholesaler of Sulphonated Melamine Formaldehyde Condensate. The offered sulphonated melamine formaldehyde condensate is widely used dispersing agent for the self levelling compositions such as mortar and concrete. Our offered condensate is an effective liquefying agent for concrete and mortar mixtures. The offered condensate is very useful for the brightening of road bricks and tunnel liner. Properties: SMF is easy to absorb the moisture from the air, so it must be kept in the original sealed bag and stored at the dry place. If stored properly in its original sealed packaging the shelf life is at least 12 months. Stabilizer, dispersing agent and precipitant for the chemical and allied industries. Dispersing agent and auxiliary for processing and polymerizing natural and synthetic rubber latices. Textile, Leather dye levelling & dispersing agent. Application: SMF is an excellent dispersing agent for cement particles and extensively used in concrete, mortars and self- leveling compositions. It promotes fine dispersion with controlled rheological behaviour of cementitious compositions ensuring for extended workability. Good liquefying agent for concrete & mortar mixes. High strength mortar, gypsum products, self-flowing ground, stuffing materials, grouting materials. Be used as the brightened agent for manufacturing the colored road brick and the tunnel liner. We are one of the leading manufacturer and wholesaler of Polycarboxylate Ether Powder. 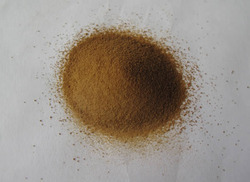 The offered polycarboxylate ether powder is widely used for increasing the fluidity of liquids such as concrete and mortar. Our offered ether powder is known for improving the concrete setting time, by reducing the water content in concrete mixture. The offered ether powder is capable of ensuring quick concrete work completion, owing to the early strength development in concrete mixture. Easy to use any cement grade. Produces cohesive and non-segregating concrete mixtures. Increase compressive and flexural strength of concrete at all ages. More than 30 % water reduction in high performance concrete. Linear water reduction through out the recommended dosage. Faster recycle of form work owing to accelerated early strength development. Close textured fair faced smooth concrete. Rheoplastic self-leveling and self compacting concrete. Dosage: 0.1 to 0.5 kilograms/100 kilograms cementitious material for most concrete mixes using typical concrete ingredients. However for silica fume concrete, the dosage may fall outside recommendation and site trials in case of critical workability and setting time parameters as per requisites to fix optimum dosage. To be mix with water and added to cement aggregate mixture. Packing: PCE Powder is available in 25 kg paper bag. Alternative packing sizes may be available upon request. We feel proud to introduce ourselves as one of the well-known manufacturer and wholesaler of Polycarboxylate Ether Liquid 40%. The offered polycarboxylate ether liquid is a new generation super plasticizer, which is capable of producing non segregating concrete mixtures. Our supplied ether liquid is acclaimed for increasing the flexural strength of concrete and mortar mixtures. The offered ether liquid is very useful in producing a self-contracting concrete mixture. 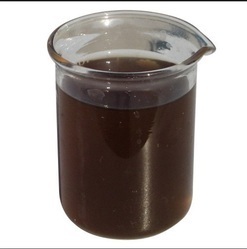 We are one of the well-known manufacturer and wholesaler of Polycarboxylate Ether Liquid 50%. The offered polycarboxylate ether liquid is a versatile liquid, which can be added to cement aggregate mixture for improving the self-contracting time of the mixture. Our offered ether liquid gets easily mixed with water, for quick mixing into the cement aggregate mixture. Our offered polycarboxylate ether liquid is available at very cost effective and economical market selling price. Other Details - Dosage: 0.2 to 1.0 kilograms/100 kilograms cementitious material for most concrete mixes using typical concrete ingredients. However for silica fume concrete, the dosage may fall outside recommendation and site trials in case of critical workability and setting time parameters as per requisites to fix optimum dosage. To be mix with water and added to cement aggregate mixture. SNF Liquid It is an aqueous solution of Sulphonated Naphthalene Formaldehyde, Sodium salt polymer. This is an excellent dispersing agent. Designed to offer wider tolerances in formulations for concrete admixture manufacturers. 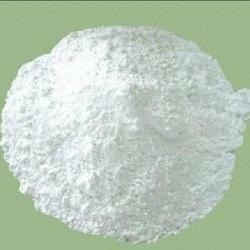 It is compatible with most of the additives used in admixture formulations. It helps in producing concrete with various unique properties. Solubility : Completely soluble in water. Application: Construction industry, High Range water reducer in concrete. Water reduction in concrete up to 25%. Higher slump with lower water – cement ratio. Flow able pump able concrete with improved rheology. Possess homogeneous, free from Honeycombing and dense concrete. High strength due to reduced water – cement ratio. 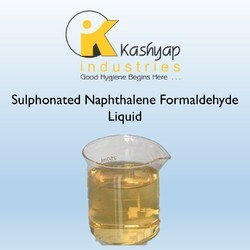 We are one of the well-known manufacturer and wholesaler of Sulphonated Naphthalene Formaldehyde Condensate. 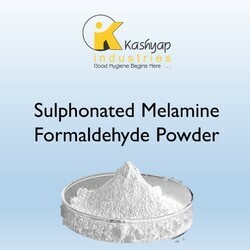 The offered sulfonated naphthalene formaldehyde condensate is widely used for the preparation of free flowing and pump able concrete mixture. 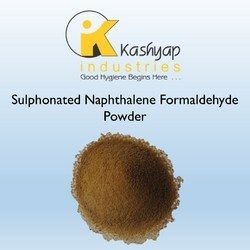 Our offered sulphonated naphthalene formaldehyde condensate is very useful for the construction sites. The offered condensate is acclaimed for high strength, owing to the reduced water and cement ratio.